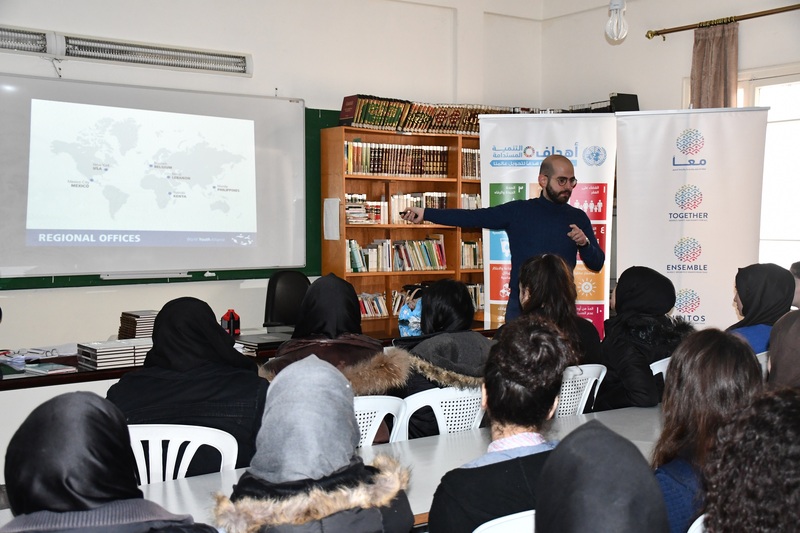 On Monday, February 5, 2018, WYAME Regional Director of Operations Mr. Nicholas Maalouf visited Fadl Al Moukaddam Public High School along with the United Nations High Commissioner for Refugees’ Assistant Liason Officer, Mr. Khaled Kabbara, as part of the UN Aware Program. Mr. Maalouf introduced the students to the World Youth Alliance, the Certified Training Program, the internship program, WYAME’s training opportunities, and the concept of human dignity and its importance to human rights in international law. For his part, Mr. Kabbara talked about the United Nations, its various agencies, the fields in which it works, the Together Campaign, and the Sustainable Development Goals. Students showed great interest in the topics that both speakers introduced and in the various programs that the World Youth Alliance can offer them.